Codex isn't even out yet..hell the model isn't even officially released yet but I love Ork artillery so much that I will continue to use them after the book comes out. 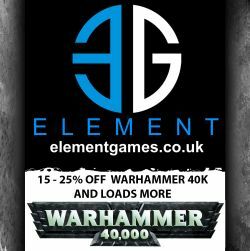 I did notice the GW website does not say the new kit can make the old Big Guns - Lobbas, kannon and zzap. I hope that does not mean these options are going to be removed in favor of the new options. I mean lobbas are not only the best current option but are just flat-out amazing overall. In units of 5 they could be just insane. I can see the zzap gun going away though, as the Smasha gun is obviously superior. But to think the Bubble Chukka would be a replacement for lobbas is insane. I'll literally cry if I lose my lobbas! In the spirit of fair play, I can't keep using my current models. It's not like I have the old metal Big Guns models..everything i have is converted or scratch built and way undersized even compared to even the old models. So it's time for an upgrade..both in stature and style. I'm really happy so far on how these are coming out. I'll have to come up with repeatable ides for the rest of the guns..I'm hoping to find something to loot from the dollar store or something to they can be easily repeatable. These take about, oh 3-4 hours each to build. I am also cannibalizing my old Lobbas for wheels and bits. My goal will be to eventually have 10 (maybe more) guns..4-5 lobbas, 4 tracktor cannons, 4 smasha guns and 2-3 Kustom Mega-kannons as options. Right now I don't have any money for additional parts so I'll go with what I have. I might get more Trukk wheels..I do like the look of them for sure. Even more Mek Gun scratch builds! Mek Guns - 5 now completed! Op Ed: Good move GW, NOW the excitement builds! Op Ed: Flash Gitz and what is GW doing? Blood Axe Kill Krusha complete!